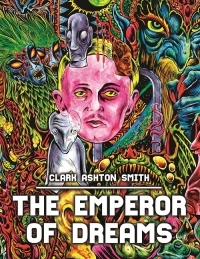 Auburn’s renowned poet, fantasist, sculptor, and painter Clark Ashton Smith is mostly remembered for his pioneering work in 1930s pulp magazines alongside H. P. Lovecraft. He is considered by many to be the last great Romantic poet and as a visual artist with a large range of work in the outsider vein. This documentary explores Smith's work and life as a solitary artist living in Auburn, California, and features interviews with leading scholars in the fantasy field such as S. T. Joshi, Scott Connors, and Ron Hilger, as well as legendary writer of speculative fiction, Harlan Ellison, in one of his last interviews. Groundbreaking Smith scholar, Donald Sidney-Fryer, is featured as a sort of tour guide to Smith's Auburn. Northern California artists Skinner and Charles Schneider give their views on Smith's strange paintings and sculptures. Placerville filmmaker Darin Coelho Spring‘s documentary on Clark Ashton Smith was nearly four years in the making. 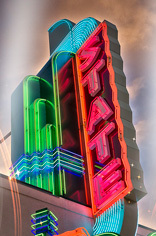 H. P. Lovecraft Film Festival in Portland, Oregon, and its NYC premiere as part of the prestigious Cinemonde Screening Series. Not Rated. Run Time 110 minutes. This event has been viewed 466 times.